Disciple Now 2016 is the biggest weekend of the year in the Student Ministry. All 6th-12th grade students in our community are invited to join us for a weekend of meaningful worship, great food, awesome host homes, riveting small group discussions, and probably lots of spontaneous memory making moments! Disciple Now plays an important role in our church’s ministry to students. This is a great weekend to develop new relationships and be challenged through the teaching of God’s Word. Our focus for this year’s DNOW is Turning the World Upside Down from Acts 17:6. Students will arrive at Buck Run at 6PM, February 12th, spend two nights in the homes of church members, and come to the church for worship, meals, and other activities throughout the weekend. The cost for the weekend is $40 if the student is signed up by January 31. This includes a t-shirt, all meals, and transportation. 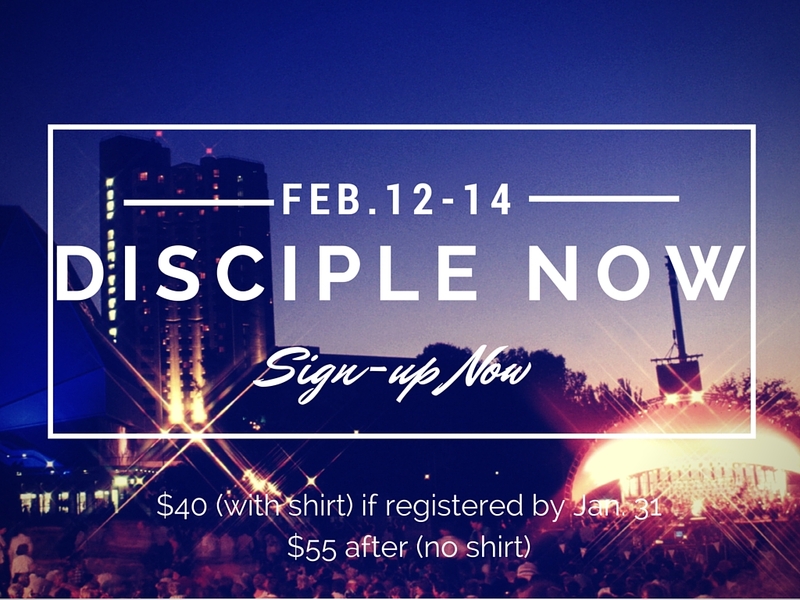 The cost goes up to $55 on February 1 (without t-shirt) so don’t put off registering today! Contact our Student Pastor, Scott Riessen at sriessen@buckrun.org with any questions.